Budget friendly hotel with in-house restaurant and bar. 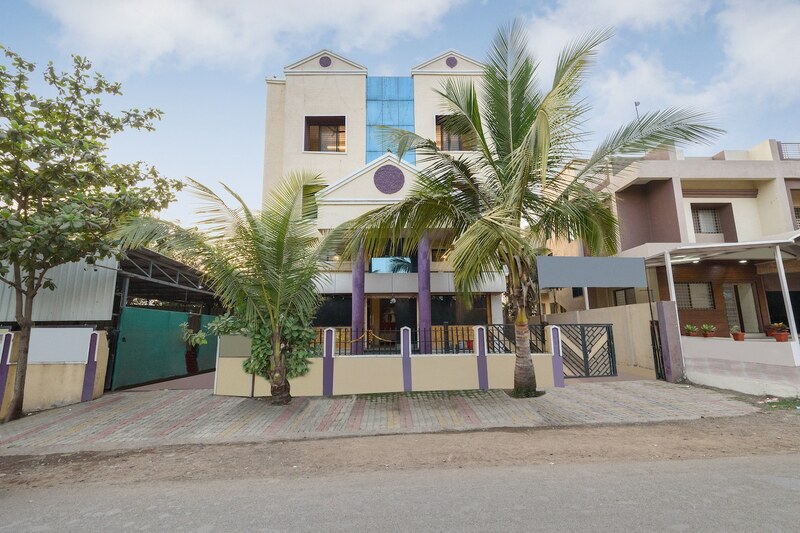 Hotel Kandil is a budget-friendly property with cosy rooms and a restaurant, located in Sector C, on CIDCO Graden Road which is near Mohtadevi Mandir, Bajaj Nagar, in Aurangabad. Tourist attractions like Ajanta Cave, Ellora cave and Aurangabad cave are well connected from the location. The hotel has a charming exterior with a green border. The light yet warm interiors of the hotel welcome its guests for a refreshing experience. The hotel comes with an in-house restaurant and a bar. In order to ensure security, CCTV cameras are installed throughout the hotel. The rooms come with a wide range of amenities which includes a queen sized bed, a television, and an air conditioner. The hotel also provides free Wi-Fi and 24*7 power backup. You can make payment with cards. Some of the nearby food joints are Cafe Crme and Jai Bhawani Family Restaurant.